Diablo III Patch 2.1.2 will be the first patch to arrive simultaneously on both the PC client and the Ultimate Evil Edition next-generation consoles. At a recent PlayStation Experience event, Diablo III lead Josh Mosqueira was joined by other developers to discuss the console Ultimate Evil Edition. They explored the process for bringing Diablo III from the PC to console, and features of the next big patch. Here is the video of the event, and quotes from the developers. The content patch will be released on the PC/Mac edition of Diablo III, and the next-generation PlayStation 4 and Xbox One editions. The developers provided the following details during the Q&A session at the end of the event. Bringing Ultimate Evil Edition Features to PC - Mosqueira said the developers want to "reel in" some of the cool features from the Ultimate Evil Edition, and put them in the PC edition. The dream is to bring the two experiences closer together, without sacrificing what makes the game awesome on each platform. The side-kick Apprentice Mode is one possible feature that was mentioned, to go from the console to PC edition of Diablo III. Ancient Items - Patch 2.1.2 (or patch 1.0.6 for the PlayStation 4) will bring Ancient items. These powerful new items drop in Torment difficulty, with a higher drop rate in the higher Torment difficulties. Expanding Reaper of Souls - New content will be provided via content patches for now. "Our focus is just to keep evolving Reaper of Souls; we have so much more stuff to do with Reaper of Souls. What we're really trying to build now is the longevity, the long game for Diablo III." Console Social Features - In the Ultimate Evil Edition, every time a Legendary or Set item drops, there is a 25% chance that a Gift will spawn for a random friend who owns Diablo. When a Nemesis unique monster is killed, there is a 100% chance that the player who was killed originally by that Nemesis elite will receive a Legendary item. 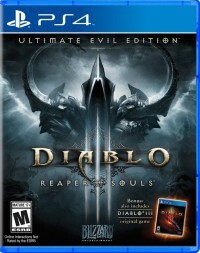 No Seasons on Consoles - More details were provided around the reasoning that Seasons are not implemented for the console editions of Diablo III. 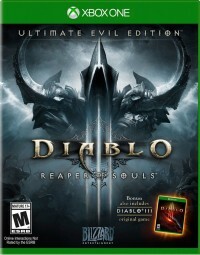 When the original base console Diablo III (only for PlayStation 3 and Xbox 360) was released, many of those consoles did not have internet access. So the console Diablo III was designed to be fully playable without an internet connection, and that has continued with the Ultimate Evil Edition. Seasons and Leaderboards are built around the idea of being able to have characters that are online, that cannot be adjusted via hacks. 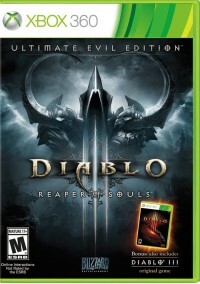 Because of that, Seasons cannot be brought to the console Diablo III. Runewords - There are no plans for Runewords at this time, but Legendary Gems are the "same way to scratch that itch". Simultaneous Release - Patch 2.1.2 will be the first simultaneous PC and next-gen Console release. The Diablo team has been working for the past few months to make that happen. The simultaneous release on the next-generation consoles and the PC Diablo III client follows the discussion months ago about bringing Diablo III patches to the console Ultimate Evil Edition. 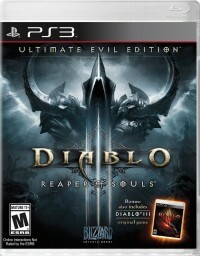 Patch 2.1.0 arrived on consoles about six weeks after it was released on the PC/Mac Diablo III. Patch 2.1.2 initially sounded like it would be released in December, but the short time period of testing was just for a specific PTR build. We expect patch 2.1.2 to go live in January, with Season 2 starting some time after the patch's release.